Inter-orbit communications technology for relay of communications between observation satellites or space stations in low-altitude circular orbits and earth stations. Advanced satellite broadcast technology for broad-band region-specific broadcasts and high definition television broadcasts using K-band frequency bands. Development of advanced mobile satellite communications technology possessing reproduction relay and inter-beam connection functions by employing K-bands and miliband frequencies. The COMETS was launched by its 5th H-II Launch Vehicle on February 21, 1998 (JST). Though the first burnig was normal, the second burning time period of the second-stage engine was shorter than scheduled which resulted in injection of the COMETS satellite to lower orbit than the geostationary transfer orbit. 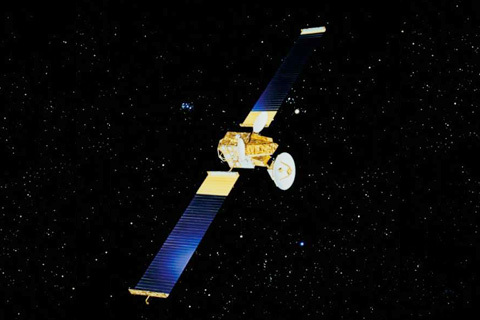 Due to successful seven orbital controls, COMETS has been moved to recurrent orbit. It was used for conducting scheduled experiments on the orbit as possible. The routon operetion phase of the COMETS was bought to un end on January 31,1999, and its extcnded phese started. NASDA terminated its operation on August 6, 1999.